New York: Refused to be pigeonholed into one movement, Joan Miro (1893-1983) is remembered as one of the most influential Spanish artists of the 20th century. With an artistic career spanning almost a century, Miro saw the rise of Surrealism and Fauvism, and influenced generations of Dadaist and Abstract Expressionists. Miro’s own works evolved over the decades, becoming more abstract and imaginative through time. 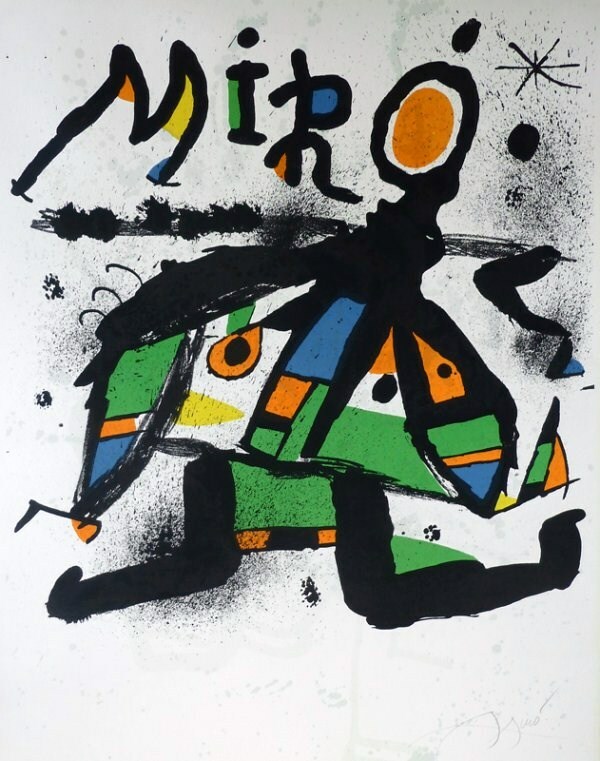 Miro experimented with lithographs at the most mature stage of his career. By the 1940s, Miro had fostered a distinctive style with dark outlines, organic shapes and bold colours that evoked a sense of sophistication and innocence. This style also used automatism (a Surrealist concept of drawing images from the subconscious) in rendering subjects. Miro would often lie awake in bed at night, sometimes not having eaten all day, and let images come to him in this dark and dreamlike state. In the morning, he would quickly jot them down. In its collection Dali to Damien Hirst, Saffronart features three signed, limited edition prints by Miro that beautifully illustrate his style and imagination. 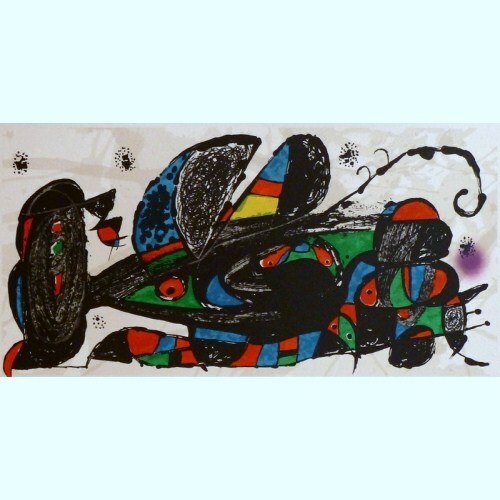 Joan Miro by James Johnson Sweeney is an example of Miro’s combination of childlike drawings with dramatic black outlines that dominate and dwarf the colours. Many of Miro’s influences came from his beloved Catalonia, where geometric forms meet nature, flora and fauna. The Enchantment of Variation’s in Miro’s Garden is the artist’s homage to his love for nature and its mysteries. Miro’s attraction to printmaking partly came from his enthusiasm to collaborate with other artists. He rejected the solitary nature of painting and embraced opportunities to work with other artists and artisans to enhance his creative repertoire. Besides artists, Miro collaborated with poets and curators to transform his prints into posters and book collections. 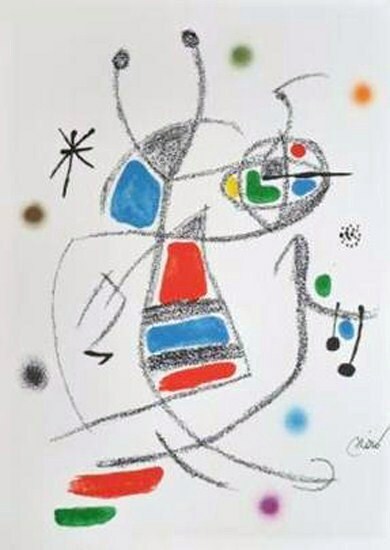 Exhibition Miro at the Galerie Maeght 1978 to 1979 is a lithograph created to promote a show of his work at Galerie Maeght in Paris. The print was also made into a much larger poster (160 x 120 cm) and featured on the cover of Miro’s Catalogue Raisonne of Graphic Works Volume VI. Miro himself saw endless possibilities in his lithographs. He stated, “A painting is a unique example for a single collector. But if I pull seventy-five examples, I increase by seventy-five times the number of people who can own a work of mine. I increase the reach of my message seventy-five times.” Like many great artists, Miro wanted to share his beautifully mysterious universe with as many others as he could.